A bathroom is a separate room where one would spend his private time to clean himself and find comfort. We will find an area for the toilet and for taking a bath. Most of the time, there is a shower area. It could be concrete but sometimes it is also made of glass. Glass showers are more expensive but they look far better and would give the bathroom a luxurious look. 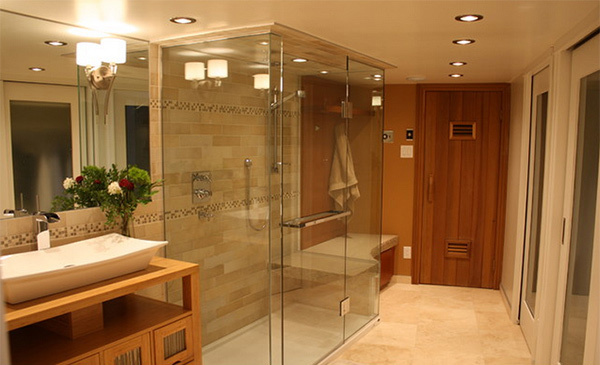 Today, we will show you bathroom spaces that have glass showers and some designs of glass showers. The design of these shower areas vary depending on the size of the bathroom. 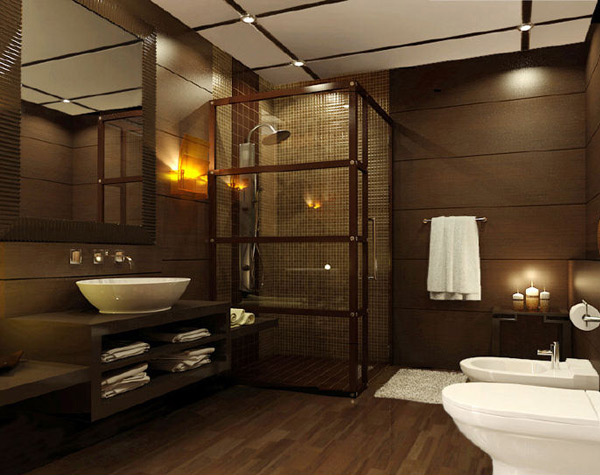 It also lies on the concept of the bathroom to complete the look of this private area. Now, scroll down and check on what we have in store for you today. 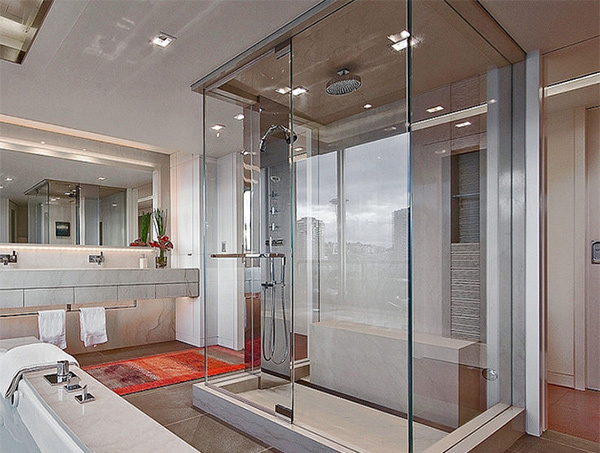 This shower area is like a room within a room as it is located at the center of the bathroom surrounded with glass. 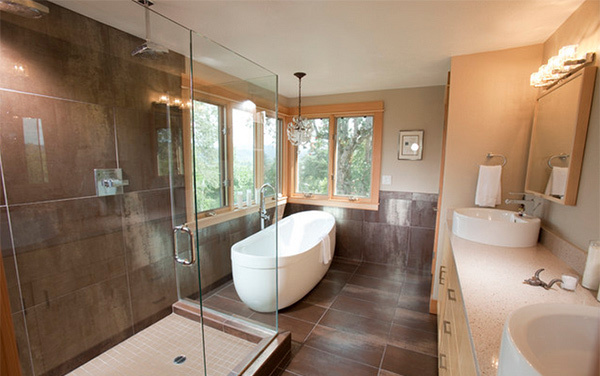 A glass shower cabin in this bathroom features both style and function. It sure looks beautiful no matter how small it is. Having a shower area on the center of the bathroom is a lovely idea especially that the bath tub is seen through it. 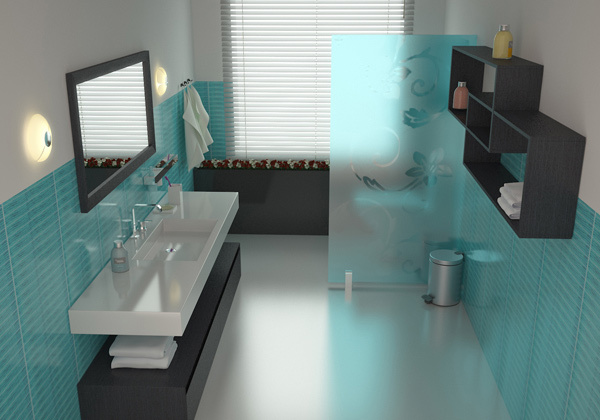 Turquoise wall tiles indeed made this bathroom appear glamorous. The frosted glass for the shower area is lovely too! 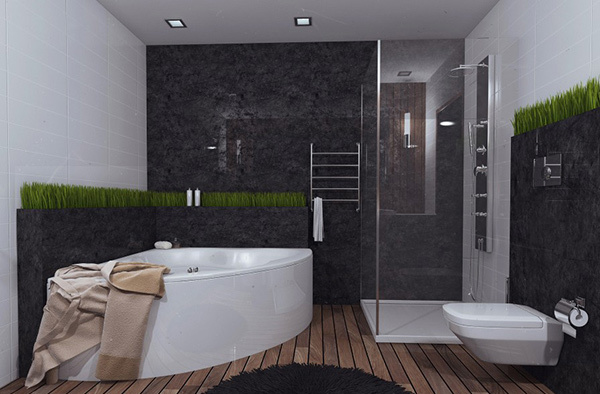 A beautiful gray bathroom that has a glass shower enclosure. The grasses on the sides are nice additions to the space giving it nature’s feel. 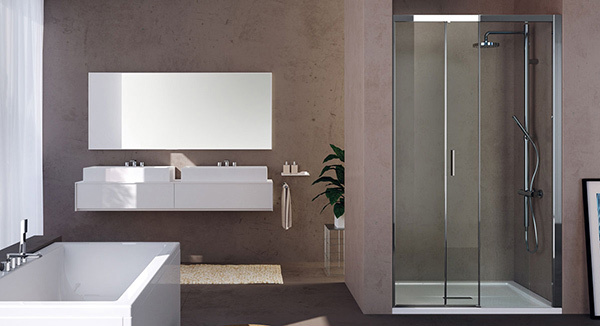 This contemporary bathroom has a sleek and seamless shower made from glass. 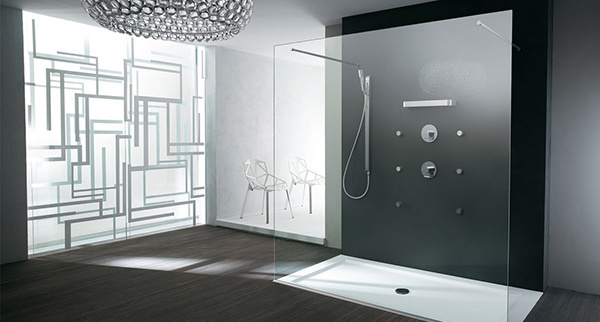 Aside from being gorgeous, this shower enclosure easily adapts to any requirements because of its extreme modularity. The architects of this bathroom said that anyone can duplicate the glass shower for it is a universally available shower glass system that a glass installer can work on. Travertine shower tiles looked good in this bathroom with a transparent glass shower. 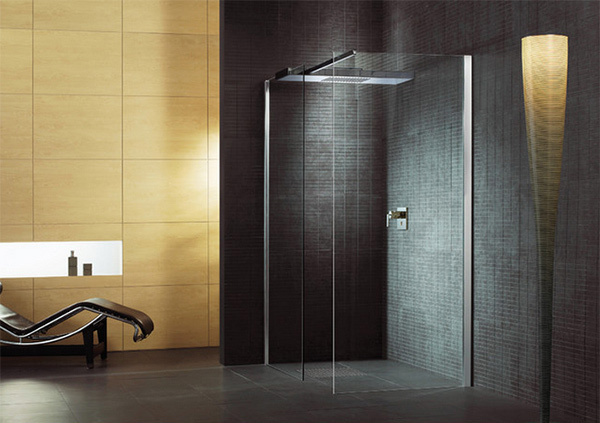 This shower has a design that looks endless with appeal. It can also fit in whatever you want for a shower glass. 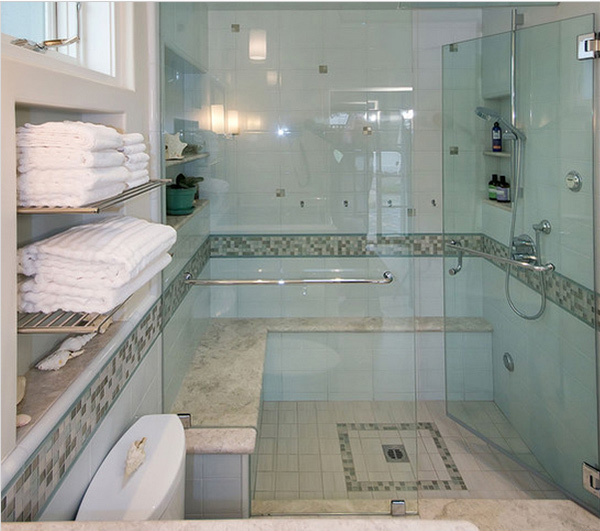 A bathroom remodel that has that transparent glass shower and a crystal chandelier that adds a whimsical touch to it. 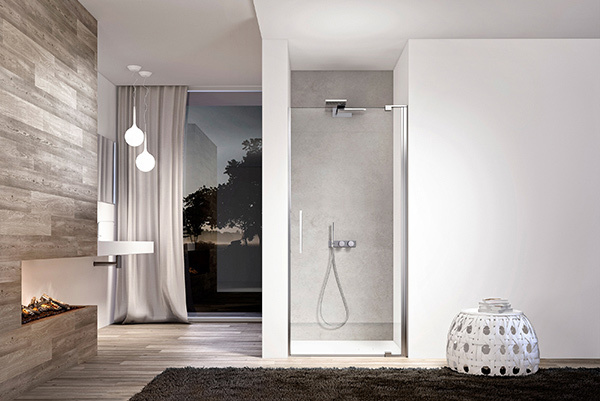 Like other showers from Teuco, this one is also modular and is available in recessed and corner versions. You will notice that this is a unique glass shower because it has wooden frames and braces in it but it does look stunning! Even the ceiling of this bathroom room used glass for the shower area. It looks sturdy and nice too. A luxury retirement condominium had a good bathroom remodel as the bath area was made with a glass to make it look more sophisticated. For sure, you will agree with us that a glass shower looks classier and more sophisticated than merely using curtains or doors. 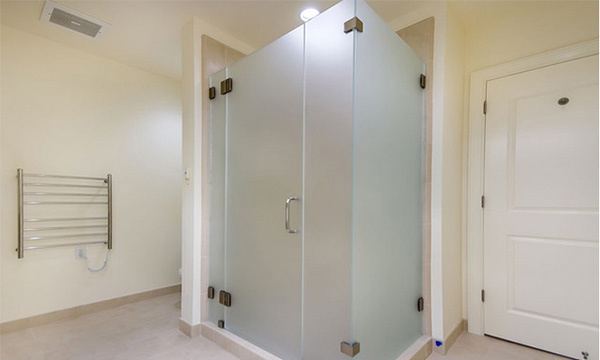 But if you think you want a glass shower that has more privacy, then, opt for one that has frosted glass in it. 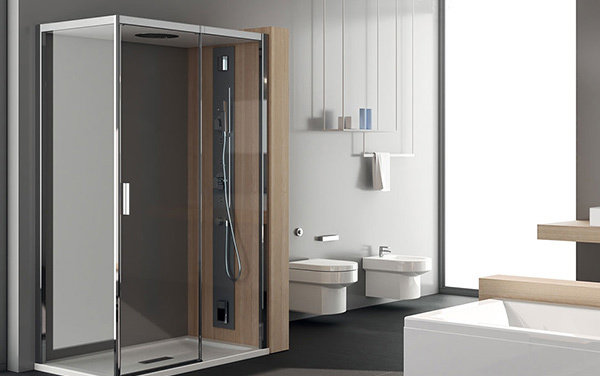 You can also choose the shape and size of your shower. Anyway, there are available sizes for it. You can also check on shower ideas for more inspiration on bathroom shower designs.